The Australian Ambassador to Nepal HE Peter Budd launched a book Silence No Longer: Artivism of Ashmina, published with support from the Australian Embassy, Nepal for a program organised by the Australia Awards Women in Leadership Network in Nepal. The book highlights the contributions of Ashmina Ranjit in the field of arts and activism. 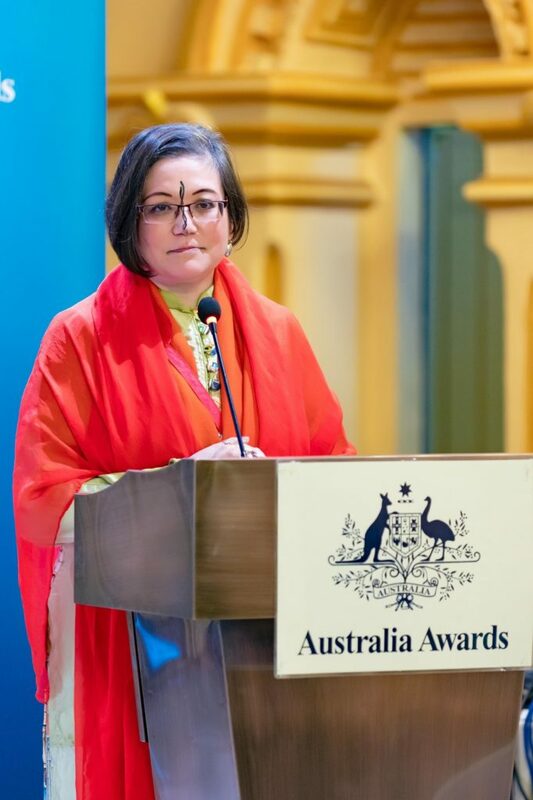 Australia Awards Women in Leadership Network (WiLN) in Nepal brought more than 150 people – including Australian alumni, arts lovers and arts scholars – together to celebrate the launch in Kathmandu. Ashmina, an Australia Awards alumna and an active member of the WiLN, pursued a Bachelors’ degree in Fine Arts from the University of Tasmania. She also holds Master of Fine Arts from Colombia University. A leading Nepali fine-arts professional, Ashmina has been making significant contributions to social causes through her arts. She has been channelling her creative energy for social causes for over two and half decades. She hopes the publication will serve as a reference for those interested in the links between art and activism and the use of art as a platform to promote social issues such as inclusive growth, women empowerment and celebration of diversity. The event also featured a panel discussion moderated by Dr Amina Singh (a fellow Australia Awards alumna). Sujan Chitrakar, an Associate Professor at the School of Arts, Centre for Arts and Design of Kathmandu University along with Promina Shrestha, an arts researcher, and Gunjan Dixit of Katha Ghera shed lights on different aspects of Ashmina’s arts. Pranika Koyu, one of Nepal’s foremost feminist poets recited her poem in the event. Ainsley Hemming, Head of Development Cooperation at the Australian Embassy congratulated WiLN-Nepal for organising such an event. 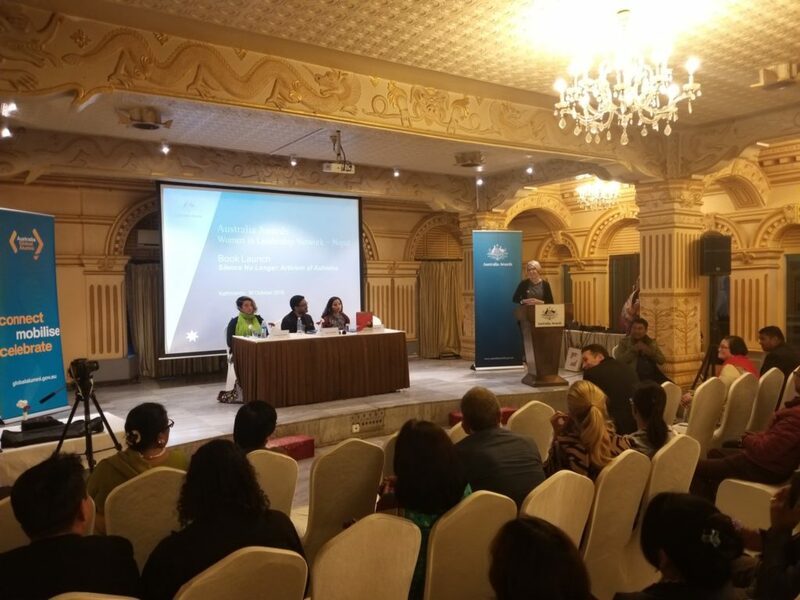 She also thanked the participants for making time to attend the event which aligned with key elements of Australia’s development program in Nepal, including inclusive growth and women empowerment. Audience at the launch of "Silence No Longer: Artivism of Ashmina"